I'm gutted. A gadget that cost me over £300 has packed up, and it's taunting me with a flickering LED. I called the manufacturer and they've told me that since it's out of warranty, it's going to cost me money for an engineer to look at it - and if I'm right and it is gubbed, it'll cost a small fortune to repair it. I'm no Sony cheerleader, and as a veteran of the Xbox Red Ring of Death debacle I know how irritating it is when your expensive console fails. But we're baffled by the BBC's Watchdog investigation into supposedly failing PlayStation 3s. Some PS3s, the programme discovered, pack up - and if they're out of warranty, they cost money to fix. Hold the front page! So what exactly is Watchdog on about? First, Sony admitted to the programme that some 12,500 PS3s in the UK have packed up - a terrifying figure for a £400 console. It criticises Sony for only offering a one year warranty, and for charging when repairs are required after the warranty period is over. And best of all, it showed X-rays indicating "trapped gas" that apparently causes all the problems. 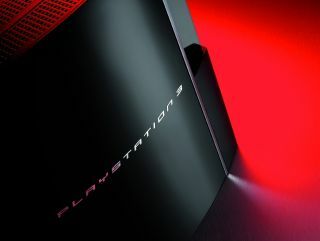 In order, then: 12,500 PS3s equates to a failure rate of 0.5 per cent, which is pretty much insignificant. We're not talking about an Xbox-scale disaster here: where around one-quarter of Xbox 360s are likely to suffer from the Red Ring of Death. And that failure rate isn't just supposed Yellow Lights of Death: it's for all reported failures, so the number of consoles affected is considerably lower than Watchdog claims. Secondly, Sony stopped charging £400 for the PS3 about 200 years ago. Thirdly, one year warranties are standard for absolutely everything electronic, unless you buy a telly from John Lewis - but that's John Lewis's warranty, not the manufacturer's - and prices for out-of-warranty repairs are hefty whether it's a console or a dishwasher. Trapped gas? If Watchdog is referring to solder voids, then Sony's rebuttal makes it clear that the soldering in the featured consoles was well within accepted tolerances. The truth is, a failure rate of 0.5 per cent barely justifies a forum post, let alone a BBC investigation. Yes, if it happens to you it's annoying - same way my knackered dishwasher is really annoying to me. But I don't think the BBC needs to investigate Zanussi. It's a thing, it's packed up, end of story. What's really annoying about this is that there are plenty of legitimate targets in tech. There's the dominance of individual retailers in gaming. There's the anti-competitive nature of smartphone contracts. There's the issue of remote killswitches that can disable digital content you've bought. There's… you get the idea. If PS3s start failing in the tens of thousands then by all means bring Sony to account. Until then, there are plenty of more pressing problems Watchdog could get its teeth into.